A stroll can soothe senses and be our escape from reality. It is worth to leave a house to see changes brought by nature. There was summer not long ago. Magic and warmth exchanged with nostalgia and charm. 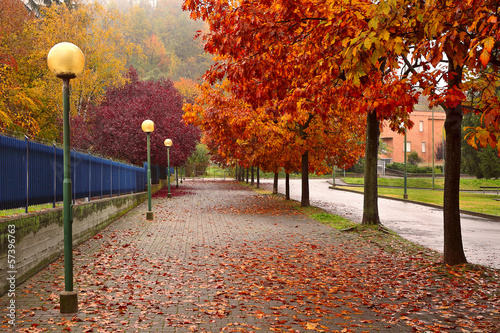 A photo wallpaper depicting small autumn street will be an interesting decorating element of your house.